Greetings Great Lakes Cheese! My name is Susan Leahy CSP and I am the co-founder of Group To TEAM Leadership Solutions Inc. I am excited to have the opportunity to come and energize your National Business Meeting in January 2019. I look forward to creating an experience that initiates a shift in behavior and communication with the objective of fostering more TEAM at Great Lakes Cheese. This proposal is structured around a three part process. This comprehensive process will encourage continued growth and learning during and after your National Business Meeting. Click the link below to see a printable version of our Group to TEAM proposal for your January 2019 Business Meeting. I look forward to working with you! This process has been created in order to support continued learning and development for those who attend the Business Meeting. The following is Group to TEAM content featured on Business Management Daily website. Energize your meeting participants to choose TEAM. Shift attitudes and actions to support generating more TEAM. Gives you and your co-workers a simple yet powerful common language, to support sustainable, productive and powerful teams. Own your personal power for creating and maintaining a TEAM orientation within the your organzation. During your business meeting, Susan will provide an interactive Group to TEAM keynote experience. Her presentation will give every member of the audience the opportunity to experience (physically and energetically) the difference between group (operating out of self-interest) and TEAM (operating out of shared interest). On the day of your business meeting, Susan will provide an experiential keynote before lunch and then the audience will be invited to participate in a customized conversation during lunch that connects them to the exercises and content previously shared in Susan's keynote. 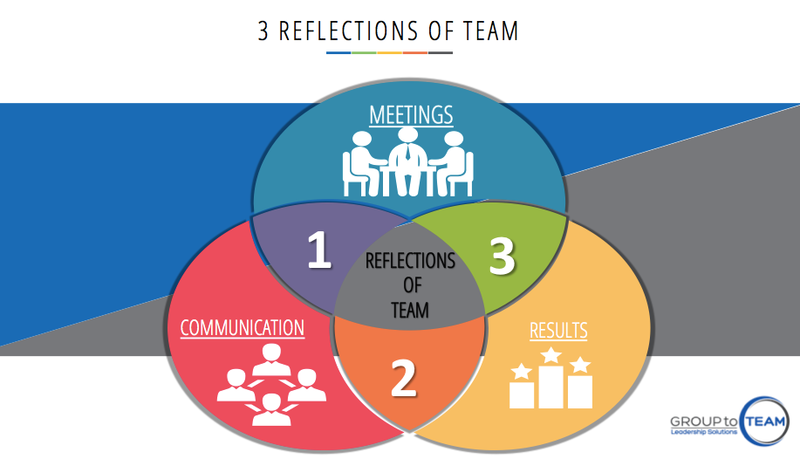 Here is some sample content from our "From Group to TEAM" training module. The Core Premise of "From Group to TEAM"
Premise – You only have two options: group or TEAM. Everything that you do, say, think or feel is either keeping you in group (self-interest) or elevating you to TEAM (shared-interest). When people are operating from the mindset of “group”, their choices organize around “self-interest”. When people operate as a team, they are organizing their choices around a “shared interest”. Group is the default when people come together, while TEAM needs to be earned. The question that our program constantly elicits is: Are you going to do what it takes to EARN the right to call yourself a TEAM? • Great TEAMS maintain great communication. • Great TEAMS drive great results. • Great TEAMS run great meetings. To keep the conversation going after the National Business Meeting, Susan will provide each participant access to her "Confident Public Speaking Audio Training". We will also provide each member of the audience with an online license to access "Empowering the Leader in YOU." Susan is also the co-founder of Group to TEAM Leadership Solutions, a training & consulting organization that supports organizations to build a “Culture of TEAM” by empowering the individual. Susan understands that great TEAMs run great meetings and so she created Robert’s Rules Made Simple, North America's #1 Robert's Rules training program. Susan’s Robert’s Rules webinars and online training products are used by thousands of boards across the US & Canada to run more effective meetings. Susan has a BA in Food Marketing & Agriculture Business Managment from California State Polytechnic Pomona and a Masters in Applied Behavioral Science with and emphasis in coaching and consulting from Baystr University in Washington State. "You don’t have to do anything to be a group, but you have to EARN the right to call yourself a TEAM." From the moment I walked in the room, I could tell that something was different. There was energy, laughter, music and engagement. Normally, our Board Members are reserved. However, with Susan and Freeman our Board Members were on their feet, sharing and participating. Susan and Freeman did a great job creating an environment that encouraged participation. The material was thought provoking and insightful. Anyone who needs a program to kick off a retreat or conference should definitely consider Group to Team - its awesome!! "I wanted to thank Group to TEAM Leadership Solutions Inc. for all that you have done for our AETC Command team. I love and appreciate your simple and practical approach. The "Group to Team" concept makes so much sense and was perfect for us here at AETC. While I know we are a difficult group, your training taught us how to shift our conversation to generate more experiences of TEAM. I personally learned how to get my power back. While there are many patterns that we still are caught in, the practices you shared during our training and webinars will support us in improving I feel like we are doing so much better because of all of your help." "As President of Saddleback College for nine years, I held an annual leadership retreat for my management team and hired outside facilitators to provide leadership and teambuilding training. I first hired Susan Leahy and Freeman Michaels to present their 'Group to TEAM' training at our sixth retreat and it was the best decision I ever made for my team. They were so effective that I had them back for the next two retreats and used them throughout the year for supplemental team training. I also provided their program and services to our college-wide staff and to assist a few campus departments. After announcing my retirement plans in 2016, Susan and Freeman helped my management team prepare for the leadership transition which resulted in another wise decision. Their support was invaluable. Susan and Freeman are superb speakers, facilitators, trainers and coaches who I proudly recommend to any organization interested in strengthening leadership and teambuilding." "The Group to Team training is excellent. The concept of "team" gets thrown around so much in corporate culture that it has almost lost its value. Their trainings help create a whole new understanding about what it takes to create a powerful, integrated and supportive team. Beyond the value that Susan and Freeman bring to the workplace, their process can be applied outside of that setting and can help bring a more thoughtful and dynamic approach to many personal and professional relationships. I especially love the dialogue process that they teach - it creates a very simple way to begin addressing difficult topics, such as gender dynamics. All in all, this is one of the best training programs that we have ever had at VF. Our team at The North Face really benefited from their work." "Group to TEAM has been my favourite course! I gained so many tools that I plan on using both in and outside work. Susan and Freeman were amazing, they were very engaging, knowledgeable and helpful." Susan looks forward to working with you!